We are back from one family get-together, and will be turning around to head off for another next weekend. 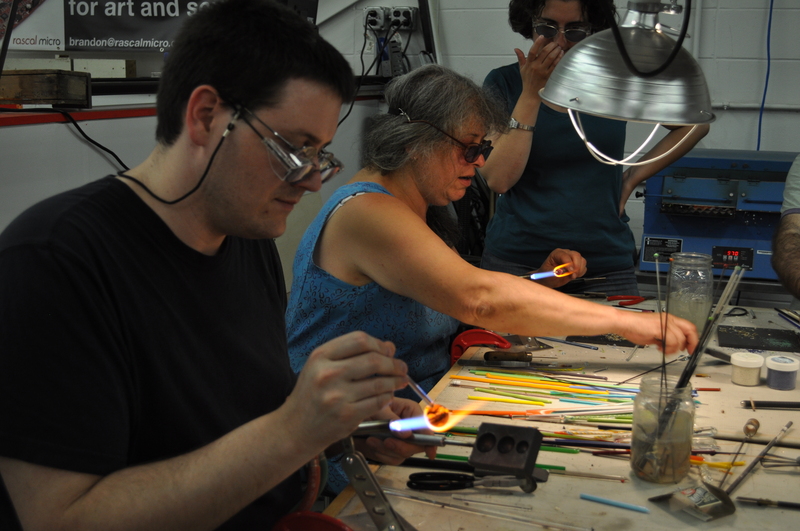 In between, we squeezed in a class on hot glass at the local hackerspace. 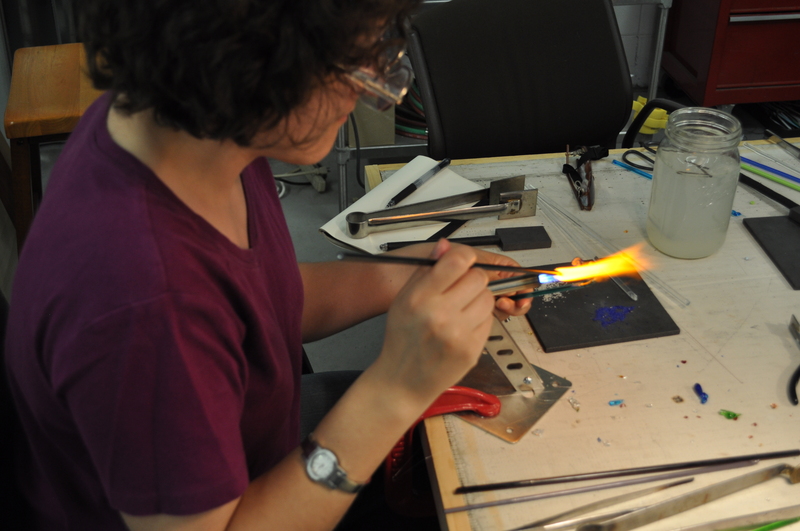 I’ve always wanted to play with glasswork, and have never gotten around to it. When Branden saw the class come up in their summer list, we decided it would be fun to try. So, we spent all day yesterday and today playing with torches and soda lime glass, making everything from beads to pendants and free form sculpture. I’m hoping that we’ll get to take some proper pictures when the other pieces come back, but that’s about all that time and brainspace will allow for tonight. We also dipped our toes into another hobby just before we left Chicago. 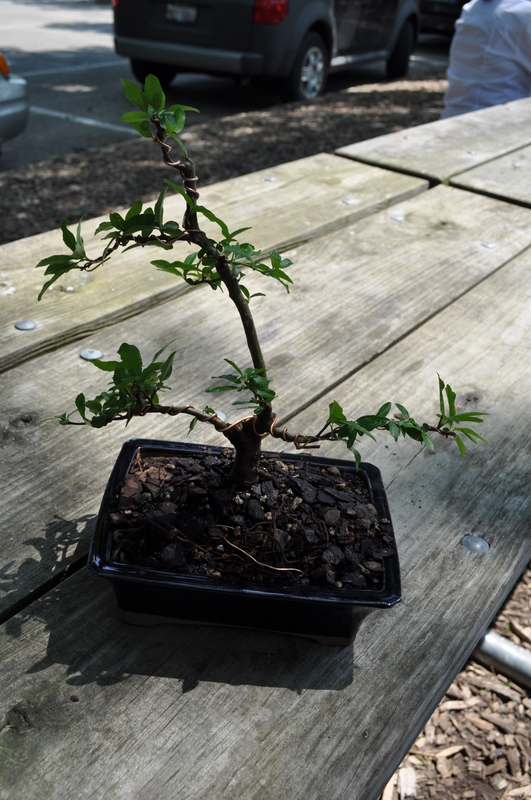 I’ve been fascinated by bonsai for years, but have never had a chance to try it. The Chicago Botanic Gardens (which is a fabulous place that you must visit if you ever get the chance) has a huge class list of things that interested me, but we lived pretty far away and expected to be in Chicago for a while, and so somehow I never actually signed up for anything. I was talking about this with Branden a couple of weeks before we left, saying how I wished I’d taken the time when I had the chance to get into their classes, since there’s nothing like that in Boston. We really liked the process, and were pretty excited about exploring it further. Unfortunately, the plants haven’t been doing well. Their leaves started getting dark spots and dropping off just a few days after we got them, and within a week they’d lost all but a few leaves. That’s not unusual for repotted bonsai from what I understand, but then their branches started dying as well. I’ve been trying to nurse them along, but I don’t think that they’re going to make it. I think that they probably have some kind of disease based on the symptoms and how they spread, but I’ve emailed back and forth several times with the instructor, and she’s absolutely certain that I’m just not caring for them properly. I gave up trying to talk to her when she said that they were dying because they needed partial shade outdoors rather than in a bright but not directly-lit window indoors for their convalescence period. It seems a little odd to say that trees can’t handle being indoors for even a week without losing all their leaves and half their branches. So no luck with bonsai. It’s something that I might come back to far, far in the future, when I have a permanent house and tons of room for finicky plants, but it’s more than I’m ready to get into now. Since you only really need to groom the trees once every year or so, it’s not a terribly active sport, and so most people end up with 80 or 90 plants from the sounds of it. I tell myself that I’d manage to keep just a few, but then we know about slippery slopes. 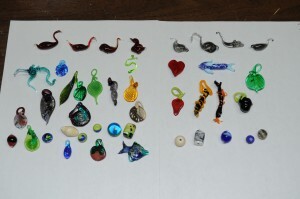 You’d need quite a greenhouse to support that kind of collection, and I think we’re probably just not that interested. Still, it was a fun thing to try and say we did, and I’m following along with several new blogs to learn more about it. There has also been knitting in between these upstart hobbies, but not much and it’s not terribly exciting yet. There should be more soon…I have lots of commuting to do! Have a happy knitting week! I’m glad you and Brandon are able to do things together and actually have a good time doing them because they’re not fiber related!! 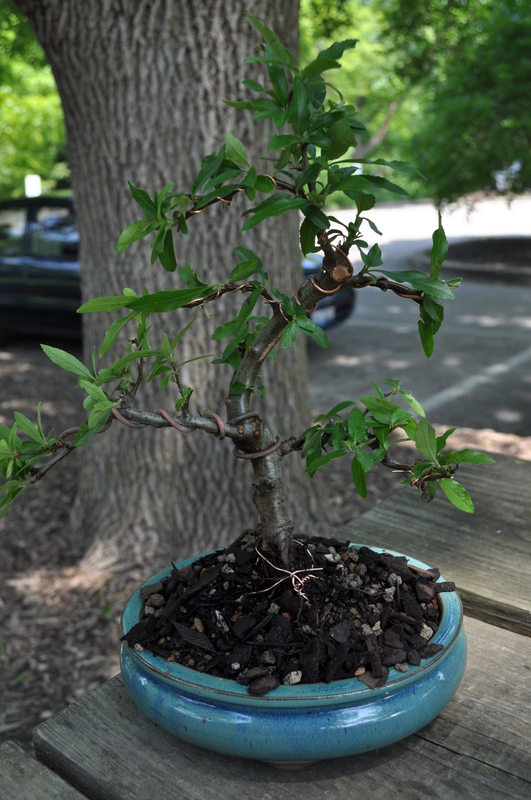 I am a bit saddened by the bonsai not panning out, as I was so hoping to get the chance to yarn bomb it some day. Congrats on the glass, that is something I would also like to try. Too bad about the bonsai, some plants are just sick and some are just too temperamental, too bad your teacher wasn’t more helpful. DesigKnit is powered by	WordPress 4.8.9 . Page generated in 0.281 seconds using 38 queries.